Radar | UAS Airspace Integration | Redefining Possible | SRC, Inc.
SRC’s UAS airspace integration capabilities are being used by the military to gain a clear picture of the operational airspace to safely conduct domestic UAS training flights — day or night without visual observers. Unmanned Aircraft Systems (UAS) are quickly becoming a vital asset in both military and commercial applications. The proliferation of these aircraft, and their distinct differences from traditional aircraft, has led the Federal Aviation Administration to create rules for integrating UAS into the national airspace. 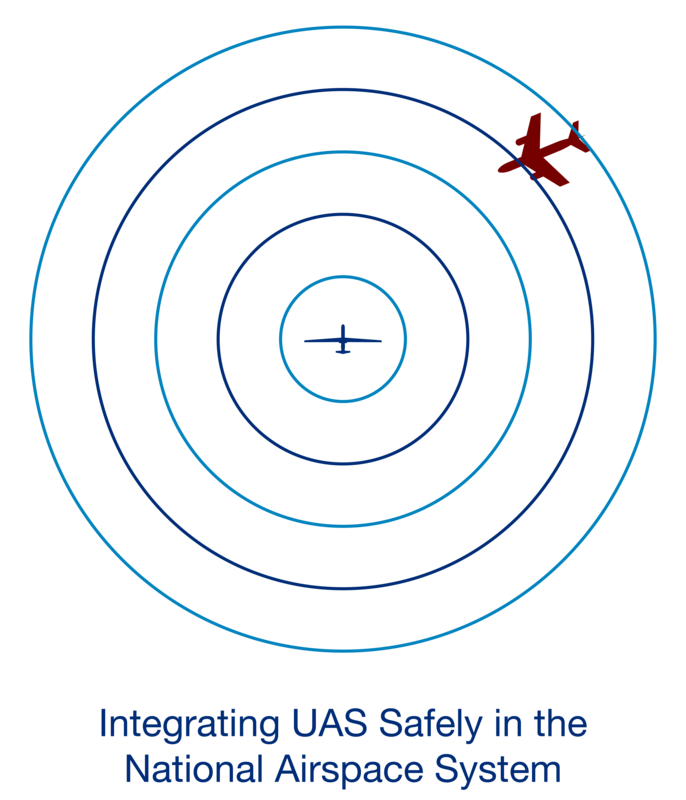 One of the major hurdles for UAS airspace integration comes in the form of see and avoid regulations set forth by the FAA (14 CFR 91.113). To fly safely in the national airspace, pilots must be able to see in-air obstacles, other aircraft for example, and avoid them. While UAS have some capabilities that far exceed those of traditional piloted craft, UAS pilots cannot physically see the airspace around them to ensure their flight path is clear. The FAA's see and avoid regulations have severely limited the usefulness of UAS domestically and has required the use of ground based observers or chase planes to act as the pilots’ eyes. But these compliant solutions come with their own set of challenges: cost of labor, both for observers and flight time for an extra aircraft, loss of visibility at night or during inclement weather, and simple human error. SRC, a leader in RF and radar development, had previously designed and built the LSTAR® radar system as a way to fill critical gaps in air surveillance. This lightweight surveillance and target acquisition radar was developed for aerial surveillance and protection of borders and high value assets. With a unique 3-D, 360 degree electronic scanning capability and reliable detection and tracking of a wide variety of aircraft (fixed wing, rotary wing, etc.) within a range of 50 kilometers, SRC engineers calculated that the LSTAR radar system could be the key to unlocking UAS airspace integration. Why Not Air Traffic Control? It would seem that a potential solution to this problem would be to employ existing Air Traffic Control (ATC) radar technology to track UAS, but ATC radars are prohibitively expensive, sometimes costing upwards of ten million dollars. ATC radars are also limited in capability; they have trouble detecting low flying, slow moving, small targets that could be a problem for UAS — like balloons, hang gliders, or hobby drones. The existing ATC radar systems can only track flying objects — they don’t proactively predict flight paths or detect potential in-air collisions. Clearly a new type of significantly advanced, high fidelity and cost effective radar system was needed to fill the gaps in existing technology. In partnership with the Army, SRC began to adapt its software and hardware solutions into a versatile, advanced traffic advisory system that could act as UAS pilots’ eyes. By “doing more with less,” our engineers were able to transition one of the most cost effective radars of its size, the LSTAR system, and deliver capabilities that could far exceed the FAA’s see and avoid regulations. By designing not only the radar, but also the system architecture, displays, and integrating all subsystems, SRC engineers were able to develop a sophisticated, elegant solution to maintain in-air separation between UAS and other aircraft. 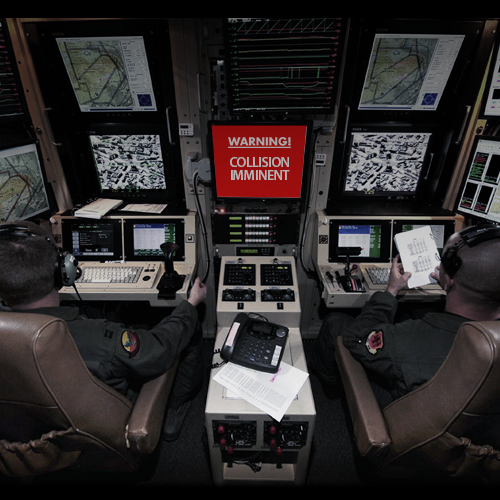 From within the UAS cockpit, usually an enclosed room in a secure facility, pilots cannot visually monitor the airspace around their aircraft. SRC's UAS integration solution uses ground based radar to monitor, track and interpret objects in the airspace surrounding the UAS, making UAS flights safer by giving pilots better situational awareness. The LSTAR system was designed from inception to be small and lightweight for easy transportation, rapid emplacement and low-profile operation. In addition, multiple LSTAR radars can be linked together and remotely operated to expand their coverage area and the operational airspace of UAS. The flexibility of the system allows for almost endless emplacement configurations. Systems can be permanently installed to create UAS integration “corridors” to guide UAS safely from airfields to designated military airspace, or rapidly deployed for temporary low altitude search and rescue missions in disaster recovery efforts. Building a system to solve a problem defines engineering, but at SRC, our engineers are redefining possible® by loooking beyond singular solutions to build flexible, innovative systems for any scenario. Integrating UAS into the national airspace with the LSTAR system, while adhering to the rigorous design standards of the FAA and DoD, is a shining example of how our engineers think differently and use our evolving capabilities and systems to solve emerging challenges that, on the surface, might seem “impossible,” but NOT TO US. It would seem that a potential solution to this problem would be to employ existing Air Traffic Control (ATC) radar technology to track UAS, but ATC radars are prohibitively expensive, sometimes costing upwards of ten million dollars. ATC radars are also limited in capability; they have trouble detecting low flying, slow moving, small targets that could be a problem for UAS – like balloons, hang gliders, or hobby drones. The existing ATC radar systems can only track flying objects, they don’t proactively predict flight paths and detect potential in-air collisions. Clearly a new type of significantly advanced, high fidelity and cost effective radar system was needed to fill the gaps in existing technology. Learn more about how SRC's UAS integration capabilities are redefining possible®.